A healthy lunch with tea as an ingredient in all its dishes was indeed a perfect way to start my journey of knowledge into tea culture and history. As we savoured our lunch, we were informed by Katharine Yip, our fellow MV and event organiser, that Purple Cane, the organisation that was hosting this afternoon’s presentation, was a home grown tea merchant (since 1987) which also incorporated the promotion of tea culture into its marketing strategy. 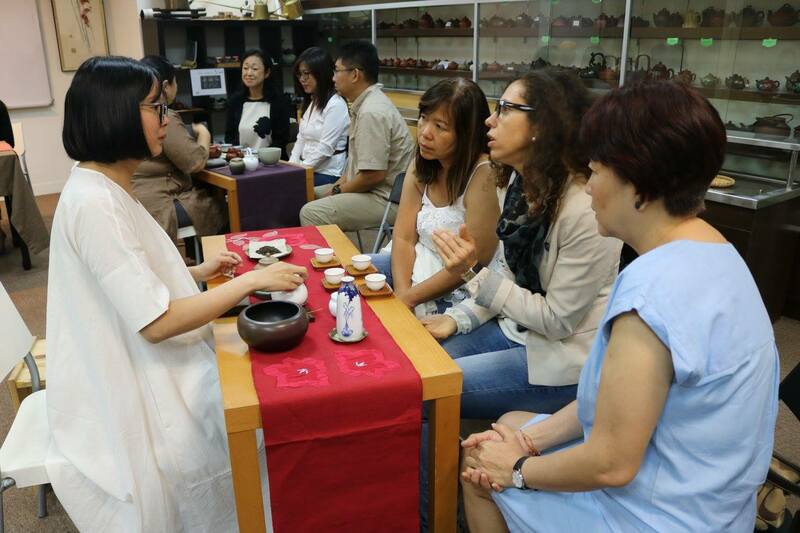 We were introduced to Ms Hooi, our teacher, and her team of tea art instructors (incidentally all ladies; I wonder why…) who collectively have decades of experience in the world of tea. Ms Hooi proceeded with her story in Mandarin and Katharine acted as our translator. The recorded history of tea goes all the way back to the 9th century CE during the Tang Dynasty in China. The earliest record was by Lu Yu, writer of the ‘Classic of Tea’. He was attributed as the first person to advocate consuming tea on its own. Before that, tea was taken as a blended infusion with other ingredients, such as ginger, spring onion and peppers used in everyday cooking. Special tea brewing utensils were documented. In the early days, harvested tea leaves were made into compressed tea cakes for easy storage. During the Tang dynasty, these tea leaves were first crushed then boiled with water before it was drunk. Later, during the Sung dynasty, crushed and ground tea leaf powder were added to boiling water using a whisk; hence, the foamy infusion. Back then, tea drinking was a pastime for nobles. It was purely for high society. Tea drinking was introduced to the commoners only during the Ming dynasty. Tea preparation was simplified in that the crushing and whisking processes were eliminated. Tea leaves were simply infused as whole leaves in boiling water; a much simpler and practical process. As the story of tea continued, a process known as fixation was introduced to stop harvest leaves from oxidation that would change their colour, texture and aroma. This could be done by first steaming the leaves then applying heat to stop oxidation; or ‘pan-frying’ the leaves in a big iron wok by stirring them quickly with the hands to prevent the leaves from being burnt. 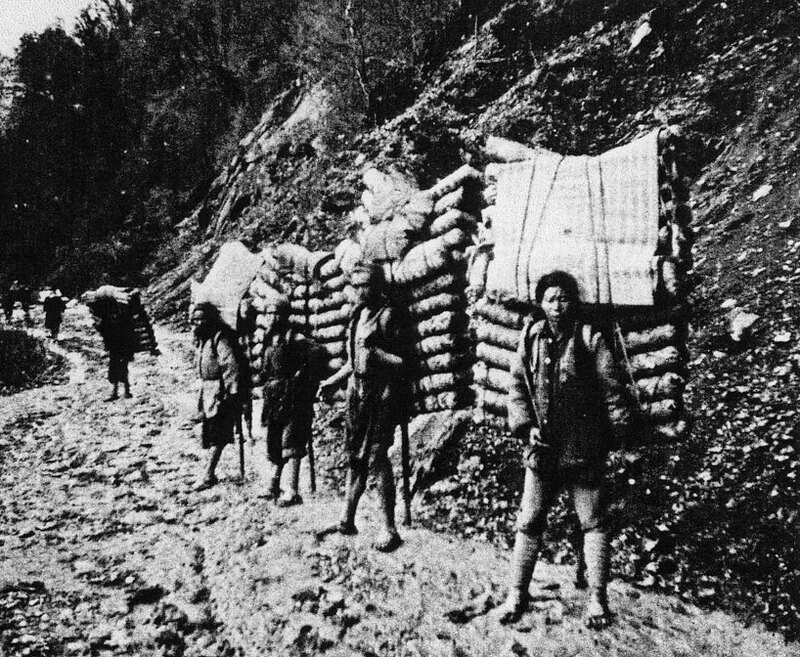 Tea leaves were commonly used as a trading commodity. Among the earliest tea trading during the Tang dynasty was a unique way of trading known as the Tea-Horse Barter Trade, whereby tea leaves grown in the Southwestern China was barter traded across the Mongolian borders for horses. Tea spread to Japan as early as the Tang Dynasty, but it was the Zen Buddhist monk Eisai who first introduced the healthy benefits of drinking tea to the Japanese. 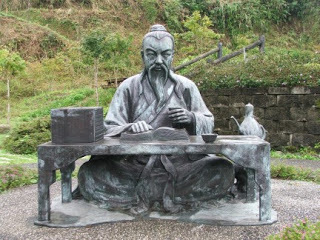 He brought tea seeds as well as the Chinese tea culture from China back to Japan during the Sung dynasty; over time, this culture subsequently developed into the very unique Cha-no-yu, the Japanese Tea Ceremony. During the Ming dynasty, another Japanese Zen Buddhist monk, Rikyu, made great strides in Japanese tea culture from which little has changed to this day. He is revered as the greatest master of Japanese tea culture. From here, there was a split into three schools of practices, one of which has been passed down 16 generations to present day. In Korea, the tea culture was introduced by a Zen Buddhist monk named Cho Ui, who is also the author of the famous tea book, ‘Ode to Eastern Tea’. Tea reached the West in the 17th Century. Based on written journals, the Portuguese have been identified as the first Westerners who introduced tea to the western world. They brought it home for their own consumption. Later, the Dutch made tea a trading commodity and they were the ones who first distributed tea leaves in Europe. The English soon developed their love for tea. A lady-in-waiting of Queen Victoria by the name of Anna Maria Russell was credited for starting the afternoon tea tradition in the 19th century. It was specifically for the nobles when it was first started, because of the long gap between lunch and late evening meals normally served after 8pm. From the early 1900s to 1970s, development of the tea culture came to a halt in China for various reasons. This interest was however revived in Taiwan in the 1980s. 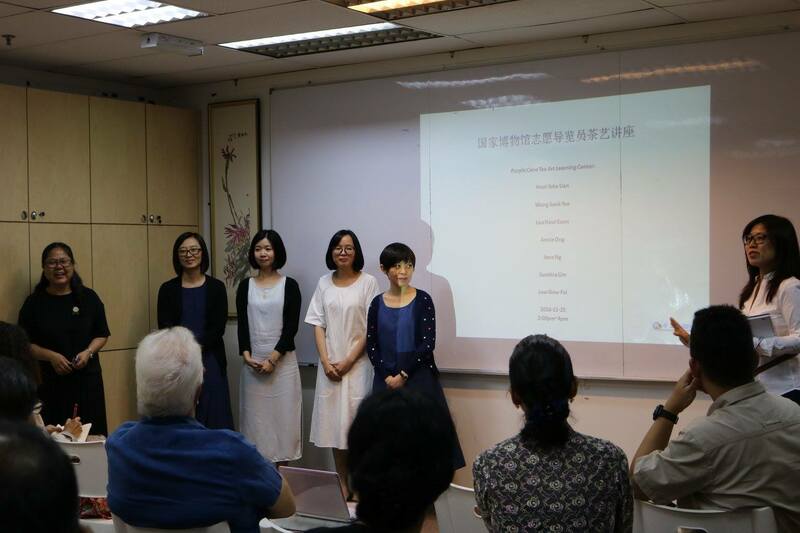 Publications on tea culture and tea art masters emerged. 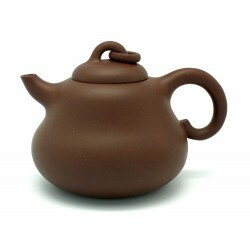 The use of small tea pots became popular. In Malaysia, tea consumed by Malaysians fall into 2 main categories, i.e. black tea and Chinese tea. Sources of black tea include those harvested and produced by the 4 tea plantations in Malaysia, the notable ones being Boh tea in Cameron Highlands and Sabah tea. Black tea is used very commonly as teh tarik served at the Mamak food stalls and Malay eateries, as well as in Chinese Kopitiams largely started by the Hainanese in the early days. 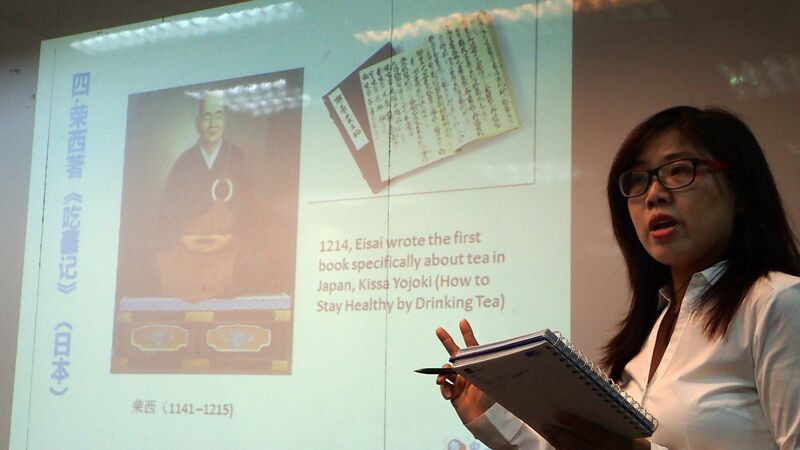 The habit of drinking Chinese tea traces its origin to Chinese migrants to Malaya. They brought tea along for making their daily beverage. Decades on, Chinese tea is still being brought in. Consumption of Chinese tea is popular among different communities, and typically, the choice of teas has a lot to do with their clans, villages or towns of origin. In the past, Chinese tea consumed in Malaysia used to be sourced through Singapore. The Tea Merchant’s Association, Federation of Malaya (now Tea Trade Association of Malaysia) was established in 1955. Nowadays, up to 88% percent of tea leaves are directly imported into Malaysia from China. Much of the import is conducted through tea associations. We were told, globally, black tea is the highest in demand now. Modern tea culture is characterised by modern day tea houses and new trends such as bubble tea, etc. This was spearheaded by Taiwan back in the 1980’s. Purple Cane, established in 1987, continues to ride on this, actively promoting modern day tea culture as proven with this specially organised activity for the MVs, for which the MVs are truly grateful.